A ring-billed gull doing some fishing. Landscape photographers are concerned primarily with low-ISO image quality—the ability to record fine details, wide dynamic range and accurate (or as-envisioned) colors, while shooting stationary subjects from a tripod. While wildlife photographers certainly appreciate good image quality, key criteria also include AF speed, high ISO performance and system ruggedness. AF performance is especially important to bird photographers because birds in flight present the ultimate wildlife action challenge to both camera and photographer. Multi-point AF systems (the 51-point Nikon system simulated here) can yield excellent results if the background isn't busy. If you do have a cluttered background and a fast-moving subject, single-point AF will result in more sharp photos. The best cameras for wildlife are DSLRs for their combination of AF performance, availability of long lenses, image quality at higher ISO settings and ease of use on moving subjects. The top-performing wildlife DSLRs currently are the top-of-the-line pro models by Canon and Nikon, the Canon EOS-1D X and Nikon D4. They have state-of-the-art AF systems and provide the fastest shooting rates. The EOS-1D X and the D4 have ample buffers so you can keep shooting those fast sequences, and they have the best high-ISO performance, which is important for wildlife prime time around dusk and dawn. These models also have the most rugged bodies and shutters available today. That's why pros (and higher-budget amateurs) pay the $6, 799 (EOS-1D X) and $5, 999 (D4) prices for them. Both are full-frame cameras with 18.1- and 16.2-megapixel sensors, respectively. Because they're full-frame models at those resolutions, the EOS-1D X and the D4 really require lenses of at least 500mm for birds and other wildlife. Those lenses will add another $10, 000 or so to the cost of entry. Such systems are also very bulky, hard to carry into the field and are best used on a tripod with a gimbal head. So, while these are the best systems, and preferred by most wildlife pros, they're certainly not for everyone. A competent wildlife photographer can get good shots with any DSLR, but will get more "keepers" with a camera and lens that are better suited to the specific challenges that wildlife presents. Of course, a better camera won't make up for a lack of skill, but it will give you the best opportunity to get sharp, well-exposed images. Wildlife photography covers a lot of territory, photographically speaking. The ultimate wildlife tests for a DSLR are birds in flight. They're tough subjects, and even the experts miss more shots than they get. It takes lots of practice to become a good bird photographer (I'm still working on it after more than 20 years!). Because birds in flight represent such a challenge, we're holding them up as a real-world benchmark in this article. If you're shooting wildlife action, especially birds in flight, then AF speed and accuracy, and the ability to track a subject for several frames, are prime considerations. There aren't any numerical scores for AF performance in the field, but as a general rule, the higher-end DSLRs have better AF performance than entry-level ones, and newer models with the most up-to-date AF technology refinements are better than their predecessors in a given category. For wildlife photographers whose budgets don't allow for pro DSLR bodies, the Canon EOS 7D and Nikon D300S have been popular for the past few years. AF performance is excellent, and almost every bird photographer I know who doesn't have an all-out pro DSLR uses one of these rugged "semi-pro" models. Their main drawback is that, while excellent, their image sensors are four years old and have since been surpassed in overall image quality by 16- and 24-megapixel sensors in newer APS-C cameras. 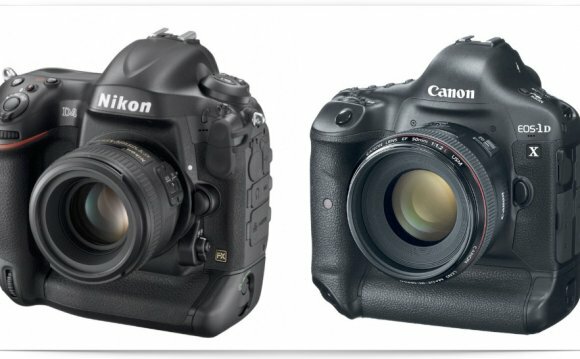 The newer DSLRs have DxOMark.com sensor scores of 80-84 vs. 66-70 for the EOS 7D and the D300S. Nikon's D7100 and D7000 use these newer sensors, and provide very good AF performance on birds in flight. The Pentax K-5 series (the original, and the newer K-5II and K-5IIs) features sensors similar to the D7000's, good AF performance on birds in flight and weather sealing.